This set of American Sign Language flash cards contains 47 cards to help make teaching your baby to sign lots of fun. Watch these special Baby Sign and Learn Flash Cards come alive by downloading the Magic Camera app! 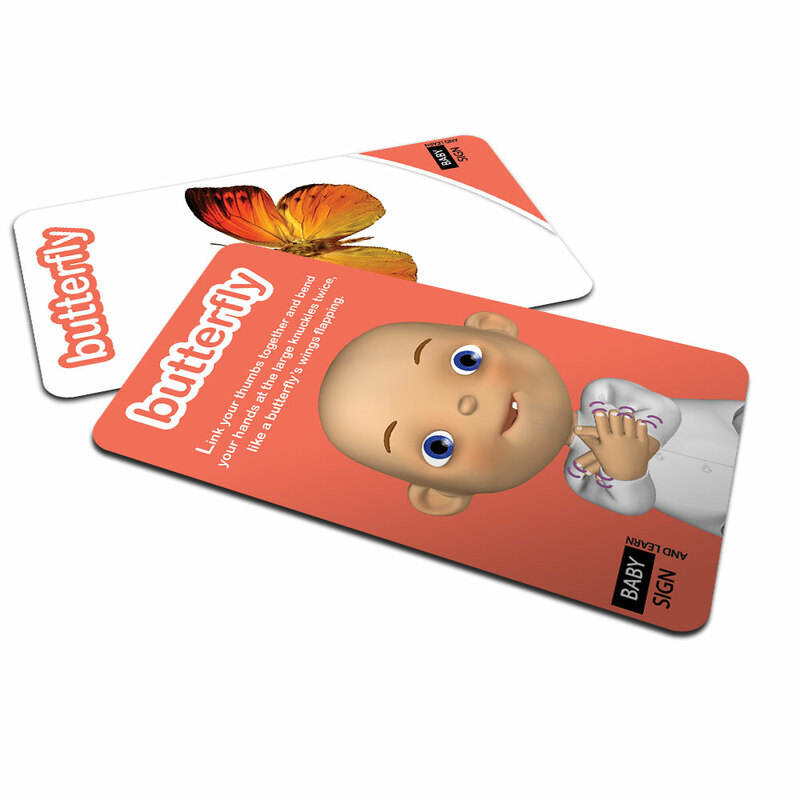 These colorful flashcards can help you and your child learn sign language, while having fun together. 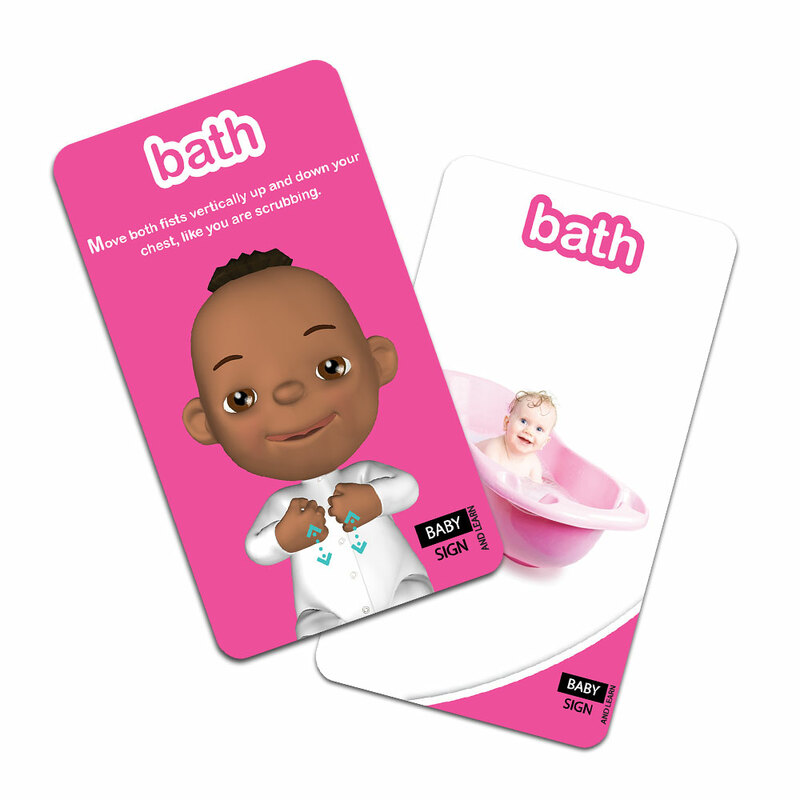 Each double sided card includes an image and the corresponding word on the front for the child, and one of the Baby Sign and Learn cartoon babies with directional arrows and a description of the movements on the back to help you learn the sign. Also included is a quick-start instruction card to help you get started. 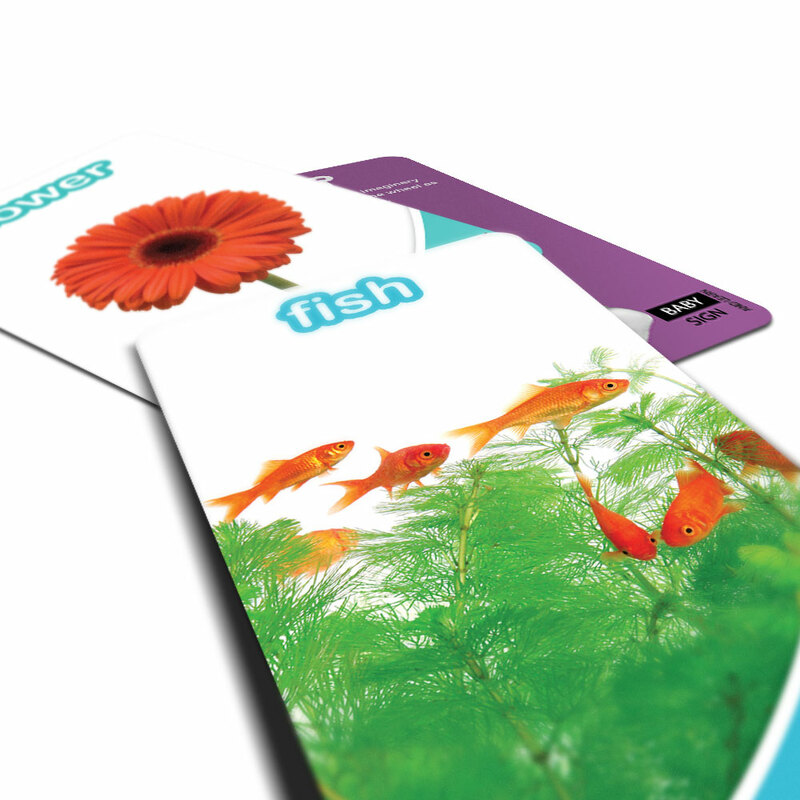 These beautifully designed flash cards will entertain and delight your child. The bright and colorful image on the front of each card provides a great visual experience and adds context for the sign. While the reverse side shows the adorable Baby Sign and Learn cartoon babies performing the key poses for the sign. These adorable babies will help inspire your baby to mimic the movement of the sign.